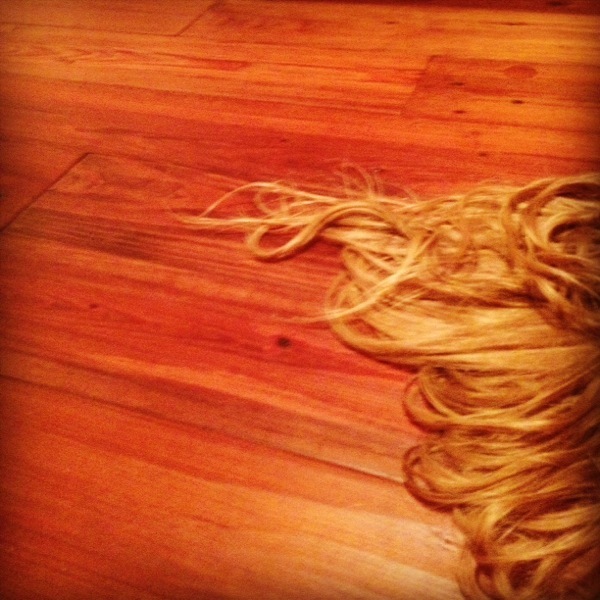 "There was a very strange but beautiful woman with long golden hair as fine as spun gold. She was poor...and lived in the woods alone and wove on a loom made of black walnut boughs. A brute who was the son of the coal burner tried to force her into marriage, and in an effort to buy him off, she gave him some of her golden hair. But he did not know or care that it was spiritual, not monetary, gold that she gave him, so when he sought to trade her hair for merchandise in the marketplace, people jeered at him and thought him mad. Enraged, he returned by night to the woman’s cottage and killed her with his hands and buried her body by the river. For a long time nobody noticed that she was missing. No one inquired of her hearth or health. But in her grave, the woman’s golden hair grew and grew. The beautiful hair curled and spiraled upward through the black soil and it grew looping and twirling more and more, and up and up until her grave was covered but a field of swaying golden reeds. Because she wished to live." Abridged version of the tale written by Clarissa Pinkola Estès.